Last week we saw that our reach is expanding into communities to the north, south and especially the west. As we continue to study the results of our recent survey, let’s take a closer look at who comes to BPF each weekend. 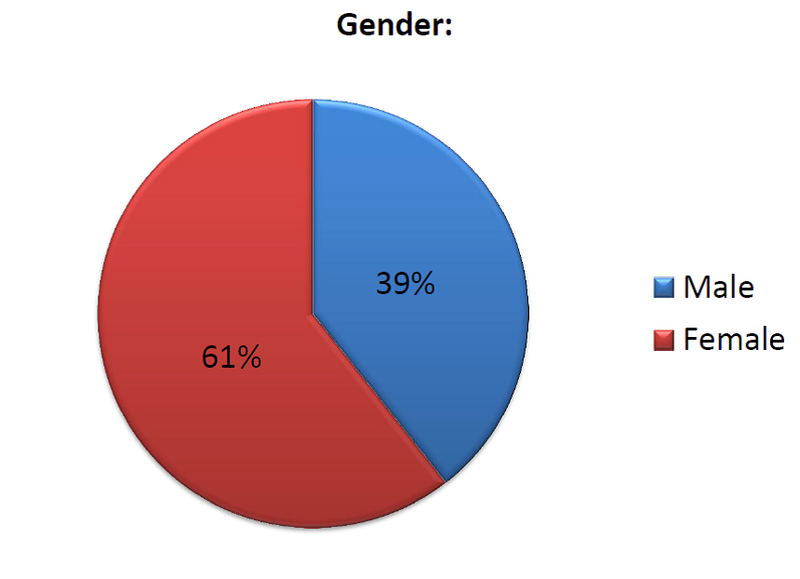 This points out a reality in most churches; women usually outnumber the men. Over a third of our church is single. When you take into account, however, that 16% of that group is 18 and under (see next graph), the number of single adults at BPF is closer to 20%. 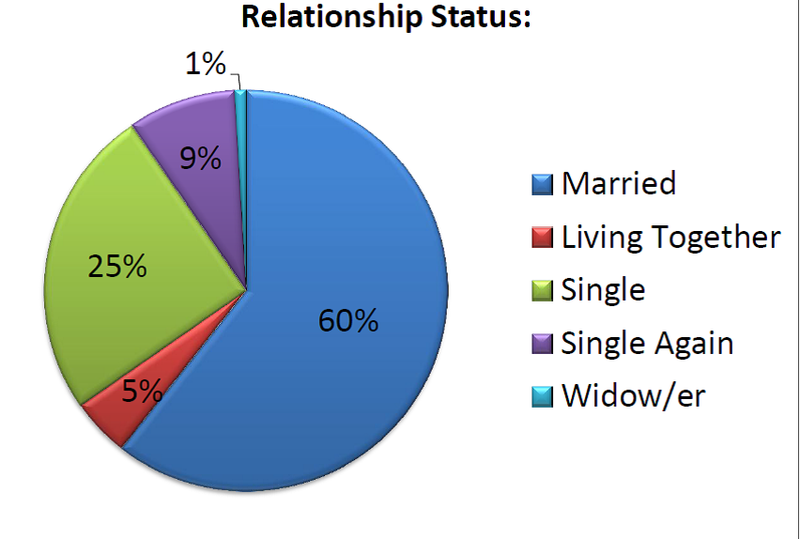 Still, that means one in five folks at Brazos Pointe are single or single again, a pretty significant number. When I look at this, the word that comes to mind is balance. 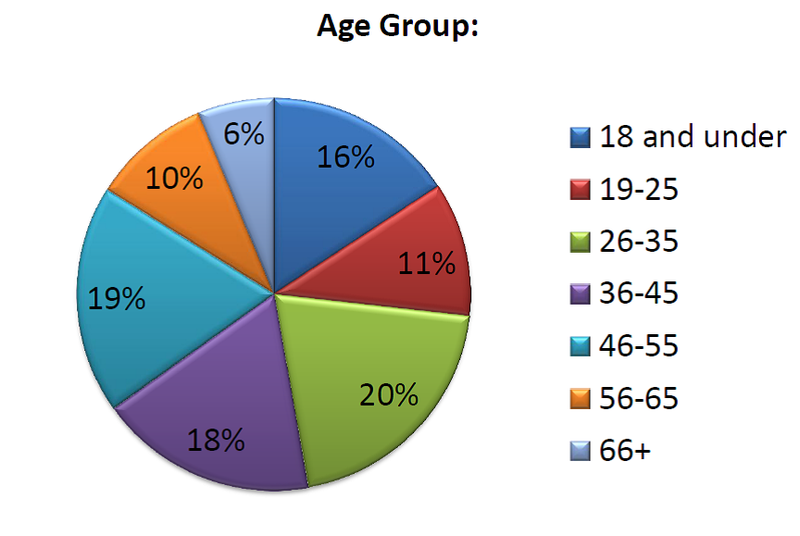 The 18 & under and 19-25 groups are smaller, but they also represent six and seven year age spans as opposed to 10 year spans for the rest. Also keep in mind that over 300 regular attenders at BPF were not included in this survey – our children ages birth to 12, who account for a fourth of our weekly attendance; which is about 1350 people on average. Next week we’ll wrap this up by revealing the answers to the most intriguing question on the survey: If you could be any animal, what would you be?